NEW YORK WELCOMES L'Apéro ! You like spending time with friends over a glass of wine on a Sunday afternoon? We have a word for this in French, it's L'Apéro. Lucky for you l'Apéro has now come to NY so join us Sunday March 24th at Amelie Wine Bar, for a Sunday Happy Hour of Charcuterie & wine. The key word being convivialité, everyone is welcome! It's going to fill up fast...so please RSVP and be there at 4PM otherwise you will miss out on the free Bayonne Ham! A très vite pour ce premier apéro! Florane & Juliette de L'Apéro, Amelie Wine Bar & St James team. PS: You have to be 21 or older to attend the event as we are not in France ;). 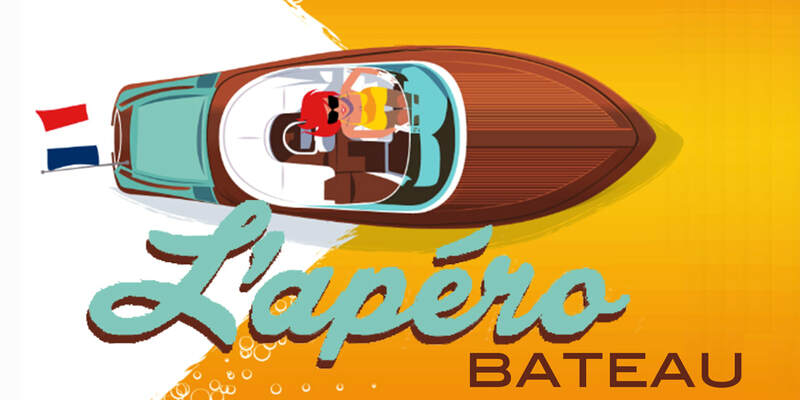 L'APERO BATEAU- JOIN US AND ROCK THE BOAT ! Join us dressed up in "marinière" for an evening of Miraval's Rose and oysters at "petit prix de moussaillon". The theme of the party is the sea, the ocean, the sailors and anything around it...tatoos, hats, snorkling gear, bouees and all that stuff will be great to see you wear. Awesome French resident DJ Franky Boissy will make you "tanguer sur les floats" on French beats. We are giving away a sailor's hat for the first 40 of you coming. This is gonna sell out soooo quickly...so check in promptly. Temps pas net, reste a la buvette! PS: You have to be 21 years old and older to attend the event, sorry to not be able to accept the "trop petit mousaillon". Do you want to meet fellow for a casual drink? Come join in! Come and enjoy unique St. Valentine’s Day Dinner / French Gastronomie style in very unique setting! On top of the mysterious Lone Mountain, you will be welcomed by our staff to join us in the Handlery room at University of San Francisco, that will be beautifully decorated for the occasion. This is a charity event and funds will support St Ignatius meal shelter program. A welcome champagne reception with hors d'oeuvres will precede a three-course dinner presided by Chef Jean-Marc Fullsack and French wine professional , Fred Boelen of La Cave. A music duo will accompany the dinner. Hosted every month, casual meetups from L’Apero gather hospitality and gastronomy professionals as well as startups and service providers for happy hour time. Fete de la Musique: 21st of June celebrates music and artists (500 attendees). Fete de la Gastronomie: celebration of the "savoir-faire", tradition and innovation of the French Gastronomy (150 attendees).